William Chislett | Spain has moved from a labour market characterised during the Franco regime by heavy state intervention, no free trade unions, the prohibition of strikes and lock-outs, a low female participation rate and paternalistic legislation to one that is flexible, but marked by consistently high unemployment and a chasm between ‘insiders’ (those on permanent contracts) and the precarious conditions of the inordinate number of ‘outsiders’ (those on temporary contracts). Affiliation to the so-called sindicatos verticales or ‘vertical unions’ was compulsory for Franco’s workers. They grouped employers and workers, with the stated intention of suppressing the class struggle. Labour contracts were very largely indefinite, laying off workers was penalised and severance payments were generally high for employers. Even when workers were dismissed and imprisoned for anti-regime activities, they had the right to return to their job. For example, Marcelino Camacho, a leading communist, was always able to return to his metallurgy job at Perkins after spells in prison (after Franco’s death, Camacho became the first Secretary General of the previously clandestine Communist trade union Comisiones Obreras ). Workers were given an extra month’s salary in the summer known as ‘the 18th of July wage’ and that day was a national holiday, in commemoration of the anniversary of the beginning of the Civil War. There was full employment in the last decade of the Franco regime (with a yearly average jobless rate of just under 2%), but this was made possible by considerable pluriempleo (holding two or more jobs) in order to make ends meet, very low female participation in the labour market and massive emigration for economic reasons (2.75 million between the 1950s and 1973). These factors significantly lowered the unemployment rate, as both the numerator (those without jobs) and the denominator (the size of the labour force) were very much reduced. The jobless rate began to rise after the two oil-price shocks in the 1970s (to 3.8% in 1975), as it was aggravated by the return of migrants as a result of the economic slump throughout Western Europe. Some 200,000 Spanish ‘guest workers’ in Germany returned home in 1975, and there was a steady exodus of workers from Spain’s agricultural sector, despite the declining job prospects in cities. Between 1973 and 1985 one million jobs were lost in agriculture and 1.2 million in industry and construction. The unemployment rate climbed continuously, exceeding 10% in 1980 and 20% in 1984. Apart from the real-estate bubble period (2002-08), Spain’s jobless rate since 1980 has been at least five percentage points above that in Germany, France, Italy, the UK and the US, 10 points higher in the early 1990s and 15 points in 2013 and 2014. Even in 2007, at the height of its economic boom, Spain’s jobless rate was 8%, a high level by the standards of countries such as Germany and the UK (whose respective unemployment rates in 2018 were just over 3% and 4%). Spain’s rate peaked at 27% (6 million jobless) in 2013 during the Great Recession and in 2018 was down to below 16%, but this was still 8 percentage points higher than its pre-crisis level and double the EU average, and youth unemployment (those under 25) was still more than 30%. There was also a deep north-south divide, with the jobless rate in the Basque Country and Navarra at 10% but at 23% in Andalusia. Furthermore, 40% of all unemployed had been without a job for more than a year; the longer they were out of work and the older they are the less likely the prospect of returning to employment. More than half the total number of youth employment losses were in the construction sector. The figures are dire, but no one starves in Spain. The jobless survive on unemployment benefits, money from relatives (the extended family comes to their help) and the ‘black’ (unofficial) economy. Why is unemployment in Spain so stubbornly high? Some of it is overstated because workers have off-the-books jobs in the informal economy, which cushions the impact of the high unemployment (see next figure). And yet Italy’s shadow economy is larger than Spain’s but its jobless rate is much lower, at around 10%. Workers emerged from the Franco regime with ironclad job security, and those protections remained. Democracy brought class-based trade unions but the paternalistic labour legislation was seen as a ‘worker conquest’ and political freedom gave the unions the muscle to exploit Franco’s ordenanzas to the full. Temporary contracts were introduced in Spain in 1984 –when the unemployment rate was 20%– by the first Socialist government of Felipe González in order to make the labour market more flexible. Employers complained that the rigid labour-market rules would put them at a disadvantage when Spain joined the European Community in 1986 and became a free-market economy. Employers were quick to use them and by 1997 around one-third of jobholders held temporary contracts, three times the EU average. This created the two-tier system of ‘insiders’ and ‘outsiders’ and widespread abuse of temporary contracts. Temporary workers were the first to lose their jobs when the crisis hit, particularly after the bursting of the massive property bubble. The construction sector shed 1.3 million jobs between 2008 and 2018; many of these workers, having left secondary school at 16, were poorly qualified to find alternative employment, though not as much as in Italy. When the economy was booming in the decade to 2008, boys, more than girls, dropped out of school in droves, particularly for jobs related to the construction sector. And it paid them to do so: unskilled construction workers were taking home not much less than a university teacher. In 2006, the early-school leaving rate was a whopping 30%. More than 20% of workers today are still on temporary contracts (see figure below) and fewer than one in 10 of them were offered permanent contracts in 2017, the lowest proportion in the EU, according to a study by Eurostat. Another factor behind high unemployment was the influx of immigrants. 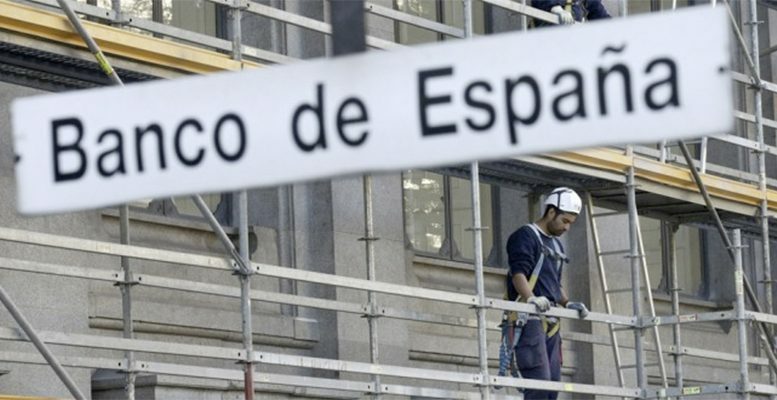 Spain’s booming construction sector in the decade to 2008 acted as a magnet for immigrants. They were particularly needed in the construction and agricultural sectors, as there were not enough Spaniards to work in them or prepared to work in them. At the peak of the boom, more than half of the 3.3 million non-EU immigrants worked in the construction sector. When the economy went into recession, immigrants bore a large part of the surge in unemployment. The jobless rate among foreigners in 2018 was 22%, eight percentage points higher than that for Spaniards. It is an axiom that higher educational attainment increases employment prospects. In Spain 34% of those aged between 25 and 34 in 2017 had not achieved an upper secondary –more than twice the OECD average of 15%–, 24% held an upper secondary or post-secondary non-tertiary qualification –with an OECD average of 42%– and 41% a tertiary qualification –only slightly below the OECD average of 43%–. Spain has made considerable progress in attainment in the last 40 years, and has done better than many other European countries as regards educational mobility: around 40% of adults have a higher level of education than their parents. It also leads in the area of early childhood enrolment rates: 96% of three-year- olds are in education compared to the OECD average of 76%. The unemployment rate for young adults who have not completed upper secondary education is about 30% (OECD average, 16%), compared with 21% for those with upper secondary education and 16% for tertiary-educated individuals. Spain also has a low share of young adults aged 15 to 19 enrolled in vocational education and training programmes compared to other OECD countries (12% versus 25%), despite the fact that those with a vocational qualification have an employment rate of 74%, as against 63% for those with a basic education qualification. One of the positive results of Spain’s Great Recession has been the considerable reduction in the country’s early school-leaving rate, as students have little option but to stay on at school after 16, but at 18% in 2017, and beginning to rise again, it was still the second highest in the EU after Malta. Many of those who dropped out of school early were repeaters at the lower secondary level: Spain has the largest share of these repeaters across all OECD countries (11% compared with an average of 2%). Spain implemented 52 labour reforms between the 1980 Statute of Workers’ Rights, which laid the foundations for post-Franco labour relations, and 2015, apparently a world record in this sphere, but high unemployment persisted and the labour market remained dysfunctional. The last package of reforms, in 2012 by the previous Popular Party government, helped to create employment, but the bulk of new jobs since then were temporary, with contracts typically ranging from a few days or less to, at best, six months. Those working in the tourism sector in 2018 (2.65 million) outnumbered those in construction (2.55 million) for the first time since 2008, but 35% of them were on temporary contracts. One proposal to create a level playing field between temporary and permanent workers would be to introduce a single employment contract but the idea has yet to be taken up. The 2012 reforms were more ambitious than those in 2010 by the previous Socialist government (which led to a general strike) as they allowed companies to opt out of collective pay-setting agreements within industries and to make their own deals with workers. They also gave companies greater discretionary powers to adopt internal measures to limit job destruction. Dismissal regulations were also modified, redefining the conditions for fair dismissal and improving further on the greater clarity introduced by the 2010 reform. Severance payments in the case of unfair dismissal for those on permanent contracts were reduced from 45 days per year-worked with a maximum of 42 months to 33 days per year with a maximum of 24 months and the requirement of administrative authorisation in the case of collective redundancies eliminated. Compensation for permanent contract termination in the case of redundancies for objective reasons was set at 20 days per year- worked with a maximum of 12 months. Employment protection legislation (EPL) became less strict, though severance pay for permanent workers in relative terms remained among the highest in OECD countries, despite the significant reduction in compensation for unfair dismissal. The reforms lowered the GDP growth rate needed to create jobs from around 2% to 1%-1.5%.